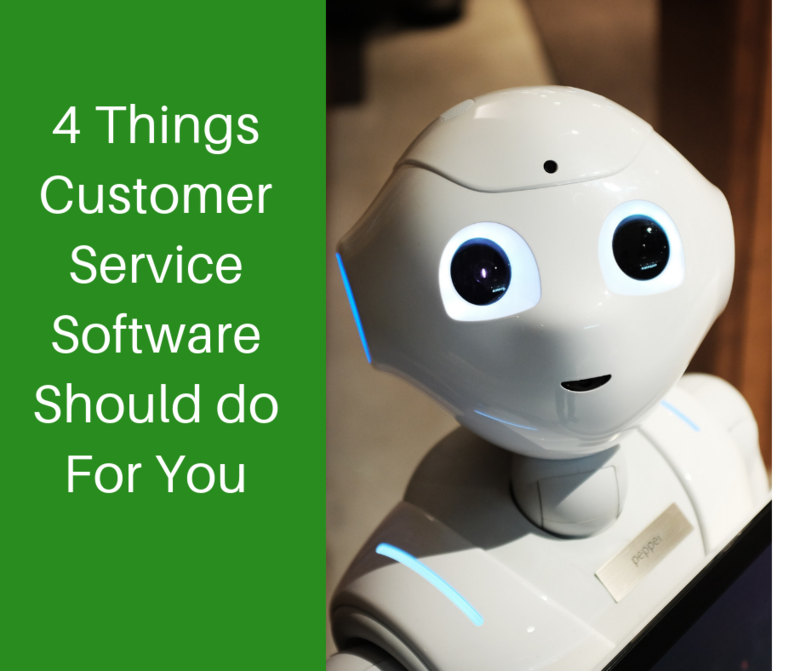 Customer service software should allow you to provide a better, more buttery, seamless experience for your customers. It should also track enough data to allow you to make smart decisions about what to do next. Let’s dive into the world of customer relationship management and take a look at how this software can improve your business. Let’s also find out what you should be careful to avoid. There’s been an interesting shift in the market for customer relationship management software, as reported by the Harvard Business Review. In the 1990s, companies were spending tens of thousands and even millions of dollars on complex CRM systems that were meant to revolutionise customer relationships. Then, the market crumbled. Sales plummeted in the early 2000s. These behemoth systems weren’t working. They were too large, too complex. Companies didn't know what to do with all the data they accumulated. The core purpose was lost in the complexity. Now, the market has shifted again, and CRM as an enterprise investment is cool once more. What’s changed is not the companies investing, but the software. It’s narrowed in scope, and improved in flexibility, allowing companies to use what they need and discard what they don’t. As an industry, we’re also transforming our approach to data. Instead of an all-seeing eye, we want disciplined, focused data-driven projects that impact real customer-relationships. The payoff in CRM comes in figuring out where real-time data can solve real life problems. When choosing your CRM system, think about what holes it plugs in your business. It must do four key things. We dive into each of them below. Because of the cost (in both time and money) of implementing CRM, it needs to work hard. Its job is to make a company more competitive in the market. Whatever are your targets for your software system, it needs to be key to strategy, and your data needs to enable you to make smart strategic decisions. When choosing and implementing a CRM system, it can be tempting to get carried away with what the technology can do. It’s easy to start converting every process and team over to the one system, but beware. Features that may seem like a perfect fit for your company might actually create more problems than they solve. One of the big issues early adapters faced was brand new CRM systems that were disconnected from the way their businesses functioned. The decision-making process of frontline managers didn’t match the workflow. You can’t lose sight of the core reason for implementing CRM in the first place. You need to put business before technology. Make sure you are solving real problems that your team or customers face every day. Data in and of itself doesn’t intrinsically improve your company, lower costs, or increase productivity. It’s what you do with that data that counts. Focus on the areas you’ve identified where data and CRM processes can solve real problems. Later, you can extend the benefits of CRM to other areas of the business, especially as you discover ways you can leverage your data for problem-solving. Every business has a unique selling point (USP) – its differentiating factor in the marketplace. Any strategic decision you make needs to support this USP. Yes, it includes your CRM system. One of the problems faced by those early adopters in the 1990s was employing CRM across their entire customer relationship cycle at once. Because many areas of their cycles were already working well, this aggressive approach led to low payback and insane business disruption. In the quest for perfect data, companies can spend big for very little gain. For example, why would you pay for real-time information on certain aspects of your business processes or customer relationship cycle if you don’t have time to act on it (or your customers don’t care)? Today, systems like myFLO are built with flexibility as their core principle. This means that the CRM can expand or contract to fit the areas of your customer relationship cycle where acute problems are present. By focusing on core pain-points in your cycle, you’ll see instant, measurable payback, and you’ll cause minimal disruption to current processes. You can always adapt other areas over time, when required. This flexibility enables you to choose what not to do, or what not to do well. This focus is backed up by research. A fascinating article on the Harvard Business Review discusses how a business’ offering is defined by what they choose not to do well. The idea is that when you don’t have the luxury of failing to deliver on some service aspects, you choose to deliver a subset of your package poorly in order to excel in other areas. For example, in a HVAC or Pest Control business, you might provide longer support hours because this allows you to charge more than competitors. Your CRM needs to provide the functionality to capitalise on your USP, and the flexibility to allow you to drop back in other areas. Making big data and analytics work is at the top of many executives’ agendas. You know that big data has the potential to transform the way you do business, but like most companies, you’re unsure how to proceed. That’s why it’s so important that any CRM you choose integrates with your other business processes, systems, and software. You need to create a single source of truth for data. It eliminates the bottlenecks and inaccuracies that come from processing different data sets. Integration is about more than just making sure data flows from one piece of software to another. Integration means ensuring that your staff has adequate training to implement the new technology. Software for customer relationship management offers huge time- and cost-saving benefits, it’s true. But those returns can be slow in coming if the technology is just tacked on to an outdated process, and if staff are thrown in the deep end. Like many things in life, with CRM the simplest solution is often the best. In order to avoid the mistakes initial adopters made with CRM, you need to put the business before the data. Figure out what problems you’re solving with your CRM, and how the system integrates into your current customer cycle. Make sure you’re collecting the data you need to build on your strategic plan and leverage your USP. Software can enable a brilliant customer experience, but it doesn't define it. You do. myFLO has been enabling companies like yours to create amazing customer relationship management systems since we began. Talk to our experts today for a confidential discussion about your customer relationship management needs. Call 1300 78 46 60. Enter your details below to download the PDF of this checklist. Enter your details below to download the PDF of this template.